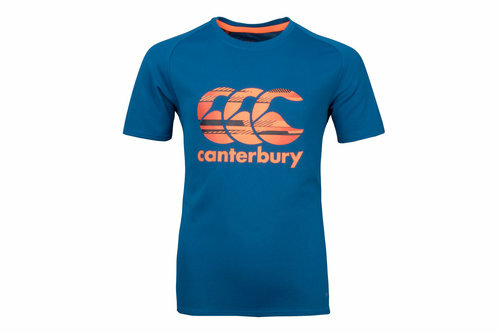 Keep your child from complaining they're too hot and sweaty to train by kitting them out in this Canterbury Vapodri Youth Poly Logo Training T-Shirt. This youth's t-shirt from rugby specialists Canterbury is made from polyester, is more than just a fashion tee as it's been adapted for training and exercise thanks to Vapodri technology. This tech helps keep the wearer feeling cooler, drier and more refreshed thanks to its sweat wicking and quick drying fabric. 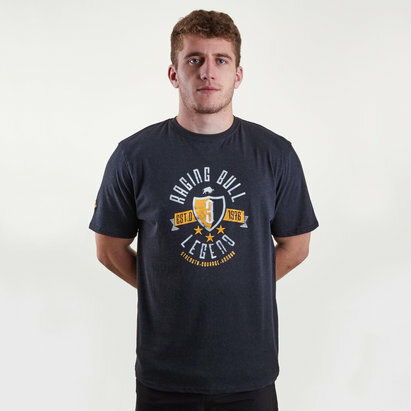 Featuring the CCC logo proudly displayed on the chest, any young rugby fan will appreciate this Canterbury Vapodri Youth Poly Large Logo Training T-Shirt, ideal for wearing both on and off the field.